Instrumental sextet Talons will be dropping their second album New Topgraphics in early August, but for now they have released the first glimpse of what’s to come from it in The Wild Places. If you’re a fan of being hit in the face with lorry sized tracks, this is the song for you. The Wild Places is an intense anthem of wall crushing guitar riffs and blistering drum beats that don’t know when to quit. 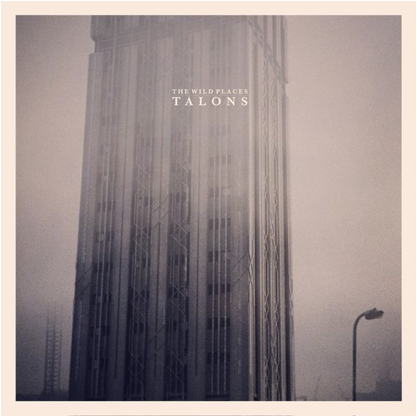 Instead of taking the Mogwai route and keeping things to a minimum, Talons takes things to the extreme with a volume cranked up to 11 and a constant barrage of instruments that collide together to produce something that is full of emotion, full of grittiness, full of hard hitting dropkicks to the balls of anyone who dares to listen. It’s incredible, and the sheer scale of the sound has got us wrapped up in anticipation for future singles and the new album. Stream The Wild Places below, and look out for New Topographics on August 4thvia Big Scary Monsters. For more music reviews, free downloads and a sense of accomplishment check out Exploding Head Syndrome on Facebookand Twitter.